No one wants to spend all day cleaning. As much as you might enjoy vacuuming, it’s better to have one that gets the job done quickly and efficiently. But which vacuum is best for your home? Let’s take a look at two popular models and compare their features now. 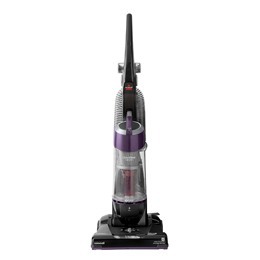 The Bissell 9595A has been a top-selling vacuum for a number of reasons. For one, at 15.1 pounds, it’s rather lightweight. It has a 25-foot long power cord so you’re not always searching for an outlet or an extension. Plus, it comes with an extension wand, a TurboBrush, a crevice tool, and a dusting brush. You may find that it’s a lot easier to keep the house clean now. The TurboBrush, for example, is ideal for sucking crumbs out of sofas and cat hair off of stairs because it combines suction with an agitating brush. It also works well on car interiors. Meanwhile, the dusting brush will help you keep lamp shades and curtains free of dust. And if you need to clear cobwebs from the ceiling or dust bunnies from under the bed, the extension wand will come in handy. The only complaint about usability of this vacuum is the location of the power switch. Persons with difficulty bending over may find it hard to flip the power switch located midway down the body of the vacuum. Some owners love the Bissell 9595A for more than the accessories. They like the powerful suction and brush actionof itsOnePass Technology. This means a single pass of the vacuum should remove most surface debris. Meanwhile, the Bissell Multi-Cyclonic System separates larger debris from dust. This keeps the filters cleaner for longer. But when the filters do need attention, the foam tank filter is washable, and that saves money. The dirt tank itself is quite large and simple to empty in seconds. Just click the lever, lift out the tank, empty it, and click the empty tank back into place. If you’re concerned about the typical vacuum cleaner odor that develops over time, try using one of the Febreze Post Motor Filters. They are compatible with the 9595A. Should you happen to have allergies, you may prefer Hoover’s UH70120 bagless upright vacuum cleaner. The main reason for that is it has a HEPA filter. The filter has an indicator that tells you when you need to clean or check it. It’s not a washable filter, so you’ll need to replace it on occasion. Although this vacuum is a little heavier than the Bissell, the Hoover has a 25-foot-long retractable power cord so you don’t waste time winding it after each use. It comes with a collection of accessories like a crevice tool, a turbo tool, an extension wand, and a dusting brush. The turbo tool combines suction with an agitating brush similar to Bissell’s TurboBrush. This is handy for cleaning stairs, car interiors, and furniture. And you can attach the tools to the 8-foot-long stretch hose and extension wand to reach air vents or lamp shades up high. If you have a variety of carpets and flooring, the Hoover UH70120 has 5 carpet height adjustments to help you get the best clean possible. Its WindTunnel Technology makes it so you don’t waste time repeating passes over the same stretch in order to remove surface debris. These two vacuums are pretty similar in power and accessories. One way to make your choice easier is to consider whether you want a HEPA filter to keep allergens under control. The Hoover UH70120 has this feature. It also has a retractable power cord and easy to reach power button in the handle for convenience. On the other hand, you may prefer the vacuum that weighs less, and that would be the Bissell 9595A. 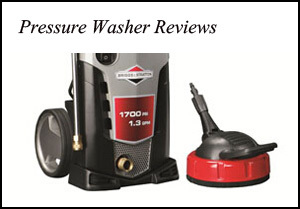 The Bissell has a washable tank filter and it is compatible with air freshener filters as well.